TAKRAF GmbH Torgauer Straße 336 04347 Leipzig, Germany takraf.sales@tenova.com www.takraf.com Tenova, a Techint Group company, is a worldwide partner for innovative, reliable and sustainable solutions in the mining and metals industries. 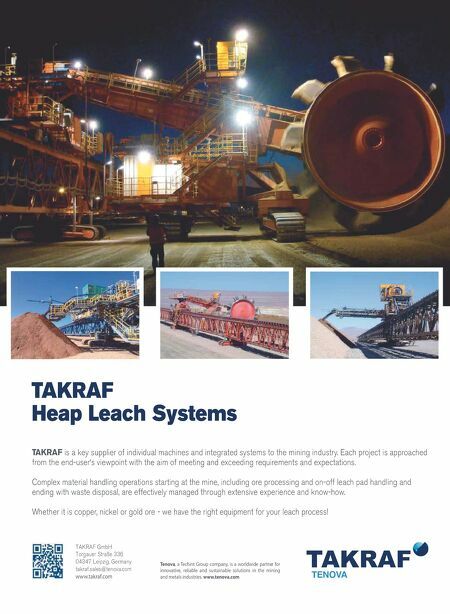 www.tenova.com TAKRAF Heap Leach Systems TAKRAF is a key supplier of individual machines and integrated systems to the mining industry. Each project is approached from the end-user's viewpoint with the aim of meeting and exceeding requirements and expectations. 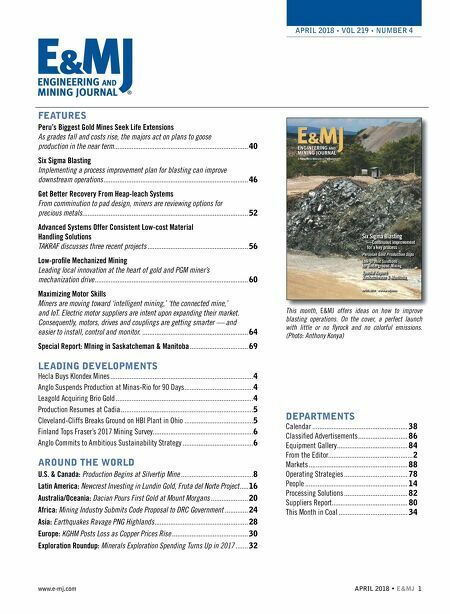 Complex material handling operations starting at the mine, including ore processing and on-off leach pad handling and ending with waste disposal, are effectively managed through extensive experience and know-how. Whether it is copper, nickel or gold ore - we have the right equipment for your leach process!